I keep a notebook about each of my children in which I record major events, questions, and notes from parent-teacher conferences and other meetings. I happened to be thumbing through my daughter’s notebook while at a doctor visit last month, and a folded piece of paper fell out. On it, I’d described a challenging parenting situation that I wanted help with. 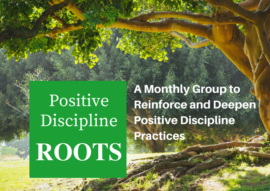 At the time (10 years ago), I was taking a parenting class with my husband because we were both exasperated by our daughter’s behavior after her baby sister was born. Here’s the scenario . . . perhaps you’ve experienced something similar? It’s bath time, and my 4YO daughter is happily splashing around, diving underwater with her swim goggles on. Mom: Time to get out of the tub. You can have 5 more minutes. Mom: OK, time to get out. Child: Oh, please, just a few more dives? Mom: OK, 2 more dives. Mom: 3 more. 3 is a few. Child: No, a few means 4! How about 3 and a half? Mom: I’m not willing to do 3 and a half. It’s time to get out. Mom: OK now, time to get out. Mom: OK, if we do one more dive, what are you going to do? Mom: OK. 1 more dive . . . GO! Mom: Get out NOW! (Diving continues) If you can’t live up to your promise, I’ll have to take privileges away! Oh, when I read this scenario I ache and laugh all at once. At the time, I was absolutely perplexed about how to get this kid out of the tub without resorting to threats. In my view, there was no alternative . . . she drove me to it! I was the victim. Hah! I wish I’d known then about a little 3-step tool I created several years later. I now teach it all the time in parenting classes. It’s called, “ELC™” and it comes in very handy when children are pushing pre-established limits. ELC™ stands for Empathy, Limit, Choice or Curiosity Question. This is a play on the acronym, “TLC” which stands for Tender Loving Care. Notice that the choice is about HOW not WHETHER to hold the limit, a very important distinction. I hear you. It’s true that it might not work, because no tool works every time for every child in every situation. However, I invite you to try it out, and see what happens. It works because you’ve started with empathy. Empathy puts you and your child on the same team. With real empathy, your child feels validated and understood and is more able to hear and cooperate with what comes next. It works because the limit is clear and concise. Parents get into trouble when they give long explanations about why the limit is fair. Less is more. A clearly stated, succinct limit leaves less room for negotiation. Don’t fake your empathy! Really get into your child’s world so you can see things from their perspective. To them, they worked long and hard to get to level 10 of their computer game! 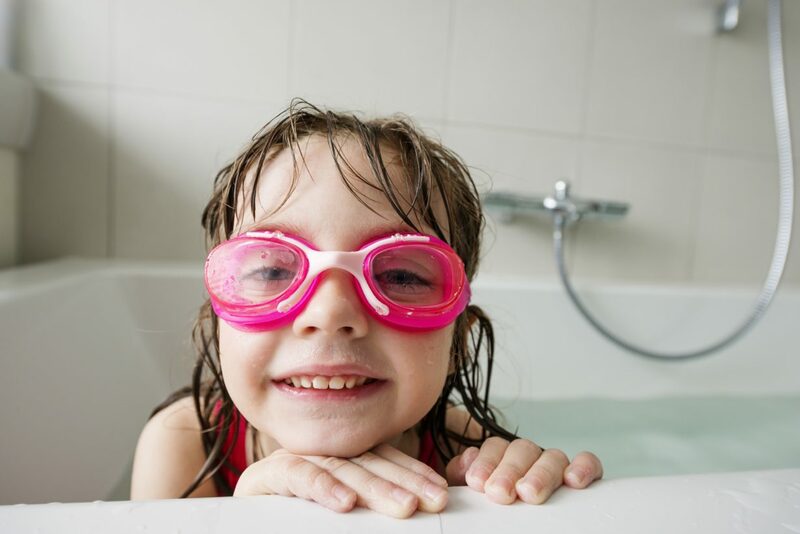 It IS exciting and fun to splash around the tub in swim goggles! It IS hard to leave Mommy in the morning to go to school. Let them sense that you really get it. Don’t negate your empathy with a BUT. When you say, “I can see you’re really having a great time with your friends BUT we have to go,” you’re negating everything that came before the BUT. Replace your BUT with an AND. Both can be true: you ARE having a great time AND it’s time to go. Do agree on limits in advance. Whenever possible, discuss the limit during a calm time when everyone is levelheaded. When children know what to expect, they’re more likely to remain calm and receptive when the limit is held. As children get older, even as early as 5-8 years old, do involve them in the process of setting the limits. Getting their input will increase their buy-in and follow-through because it allows them some input and control. You might be surprised at how reasonable children can be when their input is sought. Do give advance notice that the limit is imminent. 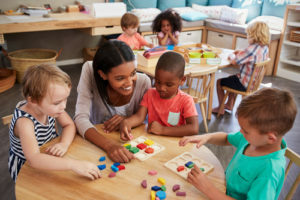 E.g., “five more minutes,” or “10 more dives.” Advance notice gives the child some time to finish what they were doing, let go of their own agenda, and shift over to yours. Do allow your child to be upset when the limit is held. Often we cave in because we don’t want to deal with a tantrum or argument. But if you have established limits in advance, involved your children in the process of setting them, given them advance notice that the limit is imminent, and truly empathized with their feelings, then you’ll find that it’s a lot easier to kindly and firmly hold the limit and tolerate the upset that may ensue. It’s OK! You’ve been respectful all along and your child will be OK and move on eventually. Are you willing to give it a go? If you are, I’d love to hear about your results. Please leave your comments below. Click here to get a 1-page handout on Setting and Holding Limits with ELC™ that includes more examples of ELC™ in action. 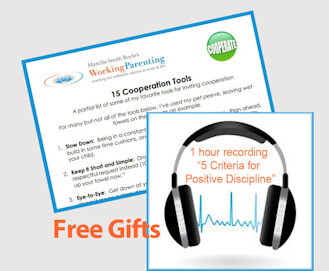 Note: ELC™ is an acronym created and trademarked by Marcilie Smith Boyle’s Working Parenting. It is a play on the term, “TLC” which stands for Tender Loving Care. 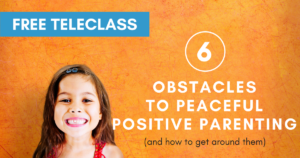 Learn more great parenting tips and tools from Marcilie at her upcoming FREE TELECLASS: 6 Obstacles to Peaceful, Positive Parenting (and how to get around them) coming Fall 2018. Register here.